Children with mental health issues may experience terrifying symptoms and tremendous challenges before their families realize that gradual or even intense changes in behavior, activities or demeanor are indicating the presence of a mental illness. Certain physical health conditions, including thyroid imbalance or diabetes, allergies, or sensory processing and other treatable neurological conditions, may be the cause of behavior or personality changes. Mental illness is rarely suspected when a child first shows symptoms. Young people with developmental disabilities, chronic health conditions, or other special needs are more like their mainstream peers than they are different. Symptoms of depression, anxiety, withdrawal or dangerously impulsive behaviors in children and teens may be attributed to the struggles everyone experiences during the typical stages of immaturity and growth, especially when they first skew to the extreme. These indications may also be dismissed as characteristics of a child's primary diagnosis, although a few simple questions could easily turn up incidents contributing to emotional distress or physical danger. Children who experience teasing, bullying, humiliation, or isolation may not know how to find help to make the unpleasantness end. Some may find that the resources available are ineffective, or make the situation more dangerous. Even those who have symptoms of post traumatic stress due to violence, grief, abuse or neglect may not find safety, support or encouragement from their families, communities of faith, or at school. Community mental health systems and emergency resources are woefully inadequate and vulnerable to budget cuts and bad management. Some adults in charge may believe that children with intellectual disabilities are incapable of understanding that they have been or will continue to be abused. Others may believe that all children are resilient and will 'get over' traumatic incidents faster if the seriousness of the event is downplayed or denied. When a child or adolescent develops a psychiatric disorder due to an event, or a chemical imbalance, a medical problem, or any other cause - it is highly unlikely he or she will be able to manage it without help. They may not realize that anyone else has ever experienced their 'symptoms' or they may believe it is their own responsibility to deal with every challenge they face. Of course, they may have no hope that their lives will get better, or that they will ever feel better than they do during their most difficult times. Children and teens with intellectual disabilities are more like their mainstream peers than they are different especially during an emotional crisis. Those with communication challenges face even greater obstacles than their peers who are unable to find a listening ear. In school, especially, students who represent the true diversity of our communities may not find a level playing field if they are being bullied by students who have better grades, athletic ability, social standing or influential parents. Some children and teens with mental health issues have symptoms without apparent causes. 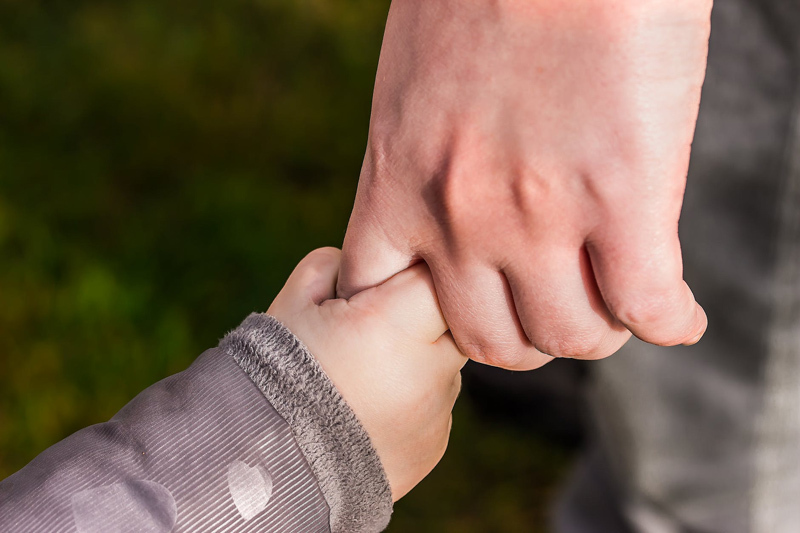 Parents often consider every possible flaw in their relationship with and decisions they have for their son or daughter without finding anything significant, that a mental health professional would recognize as a cause for their child's difficulties. It is important that young people have support and effective treatment for psychological distress and psychiatric disorders while the causes that can be determined are found. It may be difficult to find a medical professional, psychiatrist or counselor for parents to consult about a child's mental health symptoms, even for those who do not have a developmental disability. There may be no resources in the community with a focus on encouraging mental wellness in children and teens, and no information available on mental health disorders that could explain their child's disturbing behavior, attitude or activities. Parents may be so shocked, frightened, ashamed or heartbroken about incidents or experiences that they can not bring themselves to talk with counselors, doctors, friends or other family members. They may bring up the topic to find that other parents have children who have transitory emotional outbursts and behaviors that are typical for their age and be falsely reassured that what their child is experiencing is a normal stage of development, or normal and in no need of intervention if the child has a developmental disability. Even when a child is diagnosed and receiving mental health services through counseling and/or medication, they and their families continue to struggle with the challenges that remain, including the treated but uncured condition, and the repercussions of what led up to the diagnosis. Sibling, parent and extended family relationships do not instantly heal, themselves, when a child or teen is diagnosed and begins treatment. Mental health crises affect the whole family. Mental health issues are certainly overwhelming for the child or teen, and they deserve excellent resources to be available to see them through any time of crisis as well as treatment or recovery. Unfortunately, it is rare to find any individual or family who has embarked on this journey who has found adequate support even in the most progressive or affluent neighborhoods. Adults who live with a mental health diagnosis in their own lives and families have been excellent advocates attempting to influence public policy and create resources as well as safe, supportive environments for all our children. Many advocacy groups for individuals with developmental disabilities include advocates with family members who have a dual diagnosis. All our children deserve better resources and support than can usually be found. We will continue to be advocates until every child has the support and resources they need to survive and live well. Mental illness is not a defining characteristic of any individual until the system fails them. Browse at your public library, local bookstore, and online retailer for books like A Parent Guide to Childhood Mental Illness or Mental Wellness in Teens and Adults with Down Syndrome: A Guide to Emotional and Behavioral Strengths and Challenges .